Imagine you’re a pro athlete. You have millions of followers across Twitter, Instagram, and Facebook, and you interact with your audience on a daily basis. Due to the nature of your celebrity and its accompanying endorsements, outside of off-the-cuff social sharing, you’re expected to promote certain events, products, and initiatives. Here's your problem: how do you make sure you promote the brands you’re endorsing? Now imagine you work in a marketing capacity with a major sports brand and your job is to provide hundreds of pro athletes with specific, curated content for them to promote. How do you distribute the content to your influencers? Seamlessly distributing curated social media content to influencers. Socialie is a web app that facilitates the exchange of curated content from brands to influencers. Their solution helps make it easy for organizations to send suggested social media content to anyone for them to review, edit, and publish — it then makes it easy for end-users to publish that content to their audiences. Socialie’s direct customers include pro sports leagues and teams, entertainment companies, agencies, and retail brands. All of Socialie’s direct customers in turn work with every influencer under the sun: pro-athletes, celebrities, brands, etc. By way of an example, a major national sports brand can use Socialie to distribute videos, photos and GIFs to their athletes during a major sporting event. Players receive an SMS with a link to the Socialie web app where they can review, edit, and post the suggested content to their social networks. Both brand and influencers use Socialie via web apps — with influencers in particular making use of Socialie’s mobile web app. Given the complex set of users and jobs being done by Socialie, understanding customer experience is critical to the web app’s success. That’s where FullStory comes in. Before and after FullStory at Socialie. Before FullStory, we primarily relied on logs, errors, and event-based Slack notifications to gain insights for what was going right and wrong within our user experience. Unfortunately, that doesn’t provide much context for what the user saw along their way to the error or triggering the event. Logs can be laborious to decipher, errors often don’t reveal the full context of what went wrong, and event-based tracking required us to write code in every place we wanted to track (which doesn’t scale too well). Rajib and team also suspected there were friction points — issues with their web application that they didn’t even know about that were impacting user experience. Knowing that unreported issues go unfixed, the Socialie team turned to FullStory to identify, iterate, and resolve these unreported issues. FullStory helps Socialie develop for a complex set of users, across device experiences. Rajib went into detail regarding how the Socialie team is putting FullStory to work. Below Rajib shares with us in his own words just how FullStory is being used for collaboration, understanding feature adoption, rage clicks, customer segments, onboarding, planning future product development, and understanding mobile interactions. Feature adoption — The ability to watch a user session in its entirety has been extremely powerful in identifying patterns of how customers are using (or not using) new and existing features. Rage clicks — FullStory’s “rage click” identification feature was essential in revealing an edge case where if an influencer had a social network authentication tab open in the background already, the authentication button would be unresponsive. FullStory immediately surfaced that a user was repeatedly clicking on a button, and unable to move forward. We were able to quickly resolve it, and users no longer face this issue. Onboarding— We have two webapps, one for our customers and one for their influencers. The influencers onboard at a custom URL, which sometimes gets lost in communication between our customers and their influencers. FullStory sessions have revealed influencers for us who were attempting to onboard in the wrong place. It’s allowed us to promptly inform our customer that one of their athletes is lost, and might need a reminder of the right place to onboard. Had we not been able to identify these instances via FullStory, our customer would have assumed these ‘lost’ athletes just weren’t interested in participating, and we’d have one less active user of our product. 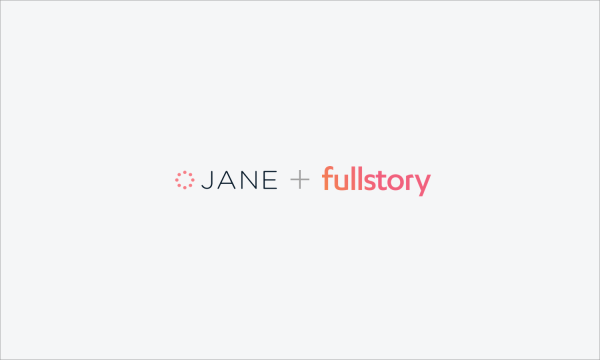 Onboarded users is one of the key metrics we use to gauge success of a campaign, so FullStory has been critical along the way. 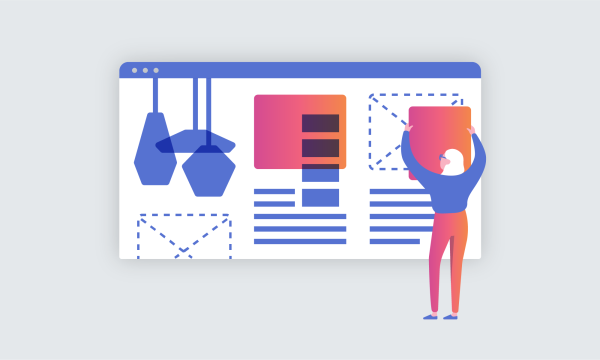 Segments— The ability to create a ‘segment’ is useful, particularly for narrowing down the subset of users who made it to a specific call to action. We have a segment for influencers who end up posting the suggested content, which is a nice way to see what went right during their experience, which can provide insights into how we can emulate that for other users who may have had problems. Mobile UX— Since most of our users (the influencers) are on mobile, the ability to watch a user’s swiping behavior is extremely insightful. Most of the events we track are clicks on specific elements, which while at a high level are good, don’t reveal what users are trying to do within a mobile experience. Our influencer webapp’s navigation is swipe based, and a handful of FullStory sessions have revealed that some users expect certain elements to fall within swipe “hotspots” that we didn’t expect. Session annotations for collaboration — We frequently take advantage of the session annotation features, as it provides a way for everyone on our small team to watch user sessions and make comments on things that go well, and things that do not. We leverage the FullStory/Slack integration to quickly notify the team of every potential roadblock/friction point in our application to resolve. Product development roadmap— FullStory has also revealed actions that influencers take that, within the context of the session, suggest they are looking for a certain functionality. We study many user sessions and we use this data to help us prioritize our product roadmap and backlog. FullStory has so many different use-cases and potential, so we are happy to hear that our product has helped Socialie solve for such a diverse set of needs. As for Socialie, whether it’s the struggles of managing social media endorsements as influencers or content management as brands, Socialie’s a fascinating product and we’re glad FullStory can assist in making it better!